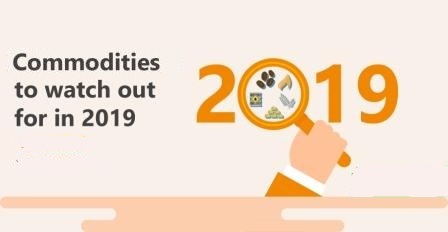 A period of underinvestment by commodity producers is setting the stage for price increases in a number of raw materials markets. Stock market volatility and a weaker US dollar may push investors to rotate into commodities, a development that could reinvigorate markets that have been marked recently by tepid investor interest. Here are the some of the commodities most likely to see higher investment interest in the next year. While lithium had a volatile 2018, investor interest in the lithium sector continues to be driven by growing demand for lithium batteries that are essential for the production of electric vehicles. Lithium became a sought-after investment thanks to the electric vehicle boom, and companies like Albemarle Corp. (NYSE: ALB) have benefited. Although processors and battery makers in the industry have been active in securing their supply chains, lithium share prices have been under pressure all year. Demand is expected to continue to grow, with industry insiders confident in the outlook for electric vehicles. A tight market and growing global demand may drive gains for investors in zinc. Exchange inventories are already close to all-time lows, and in 2019, the refined zinc market is expected to experience another year of deficit. Zinc is used in galvanizing, batteries and die casting, and in the production of brass, bronze and chemicals, with global demand for zinc expected to see steady growth in the coming years. Arizona Mining Inc., formerly led by executive chairman Richard Warke and now owned by South32 Limited, had one of the largest zinc projects globally. The Hermosa-Taylor project, as well as projects like Ironbark’s zinc-lead Citronen project in Greenland, may be able to capitalize on a tight zinc market. With low inventories and growth in demand in a range of applications, the outlook for zinc is positive. Silver had a lackluster year in 2018, but that is not deterring some analysts from believing that the metal will rally, outperforming gold in 2019. Silver is unique in terms of its combination of precious metal and industrial qualities. Uses include electrical, jewelry and silverware, photography, antibacterial, coins and photovoltaic (PV) solar cells. For the past five years, silver has been undervalued relative to gold based on a historic long-run average gold-to-silver price ratio of about 60:1. The current ratio is more than 80:1. A strong U.S. dollar, low inflation and increasing interest rates plagued the precious metals in 2018, with disproportionate pressure on silver given its industrial exposure and heightened macroeconomic concerns. If the global economy remains resilient – in October, the IMF forecast a growth rate of 3.7% for 2019 – demand for silver should benefit. Although solar demand growth in China has paused, global demand continues to rise, and may help to drive a reversion in the gold-to-silver ratio. Some experts say that silver prices could increase to US$17 per ounce by the end of next year, which would reflect an increase of about 10% from current prices. In December, silver rallied above US$15 per ounce, its highest level since August 2018. Can Smartphones In The Workplace Be Productive?